Wild Thailand is a pure landrace strain coming from the islands of Ko Chang in Thailand. 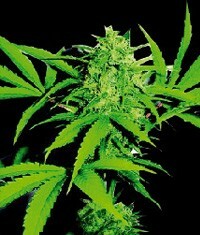 It is one of the strains with the highest THC content in the world. It is loved by the rural Thai farmers who take it Bangkok to sell, risking the very harsh penalties of Thai drug laws. Wild Thailand is one of the most productive strains in Thailand possibly due to the relative short flowering time compared to some other Thai strains. Its smell and taste will take you closer to Asia and its effects will show you the mysterious temples of Bangkok.